Today is the day for posters apparently as yet another one has arrived, this one courtesy of IMDB, which brings us the first poster for Alexander Payne’s The Descendants, Payne’s first feature directorial outing since Sideways in 2004. 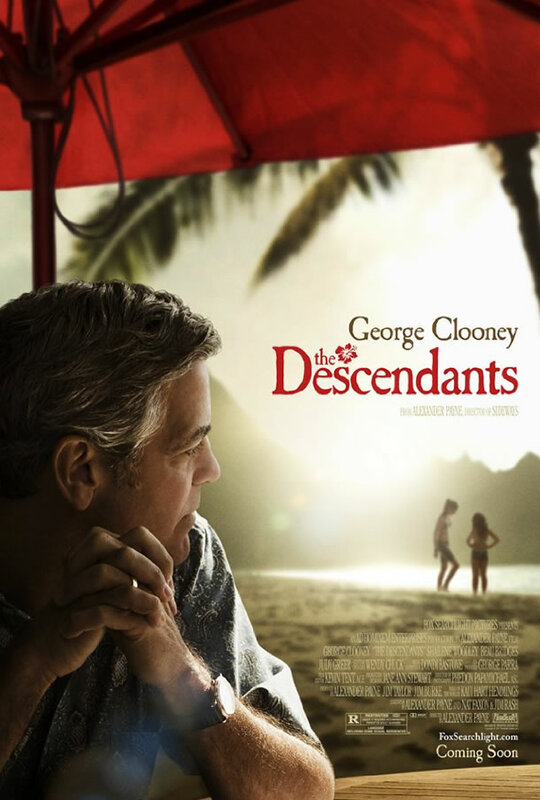 The film, which stars George Clooney, is described as a sometimes humorous, sometimes poignant journey for Matt King (Clooney) an indifferent husband and father of two girls, who is forced to re-examine his past and embrace his future when his wife suffers a boating accident off of Waikiki. The event leads to a rapprochement with his young daughters while Matt wrestles with a decision to sell the familyâ€™s land handed down from Hawaiian royalty and missionaries. Co-starring in the film are Matthew Lillard, Mary Birdsong, Nick Krause, Shailene Woodley, Judy Greer, Beau Bridges and Robert Forster. Fox Searchlight is set to release the film on December 16, but I would be willing to bet anything it will be one of the films at this year’s Toronto International Film Festival. You can check out the poster directly below.